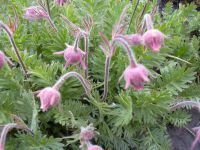 Distribution: Occurring on both sides of the Cascades in Washington; widespread throughout the northern and western regions of North America. 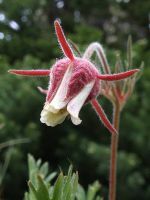 Habitat: Moister places in the sagebrush plains and foothills to subalpine ridges. 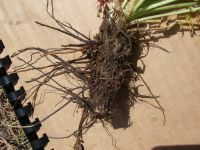 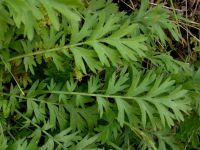 Herbaceous perennial from thick, scaly rhizomes, forming clumps 3 dm. 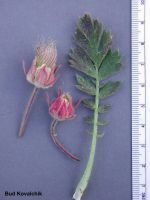 or more broad, with flowering stems up to 3 dm. 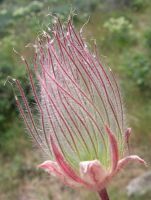 tall. 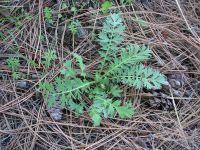 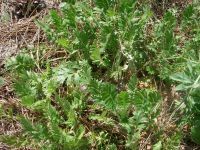 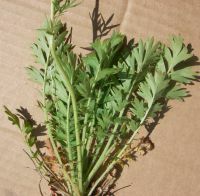 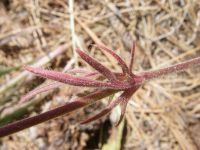 Leaves mostly basal, somewhat hairy and grayish, the blades 5-15 cm. 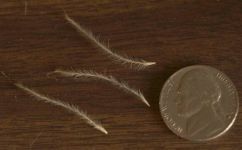 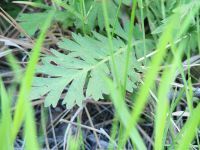 long, oblong to obovate, unevenly pinnate to pinnatifid, the segments deeply cleft into linear or oblong divisions, or cleft less than half way and again 2- to 3-toothed. 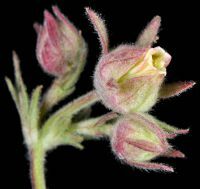 ; cauline leaves 2, opposite, much reduced, stipulate, attached about mid-stem. 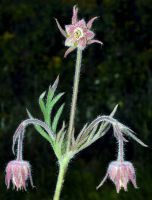 Flowers few in a terminal, open cluster; calyx cup-shaped, reddish-purple, 4-5 mm. 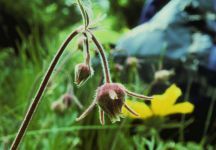 long, the 5 lobes triangular, upright, 8-12 mm. 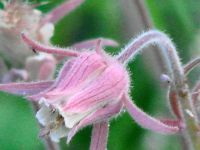 long, the 5 bracteoles somewhat spreading, linear or 2-3 cleft; petals 5, light yellow to strongly pinkish-tinged, convergent, elliptic to elliptic-ovate, somewhat longer to much shorter than the bracteoles; stamens and styles numerous. 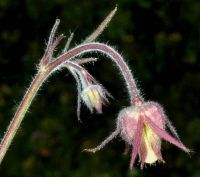 Achenes pear-shaped, 3 mm. 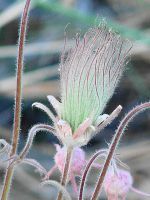 long, the lower part of the persistent style 3-5 cm. 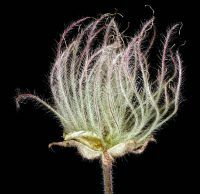 long, strongly plumose, purplish, the terminal section glabrous, 3-6 mm. 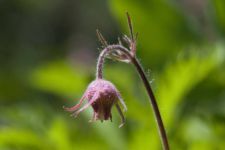 long. 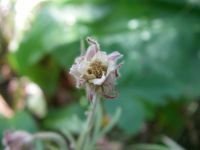 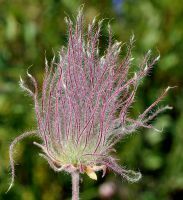 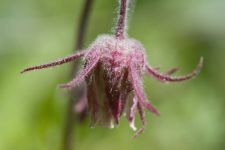 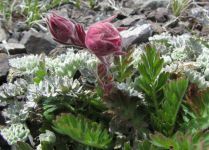 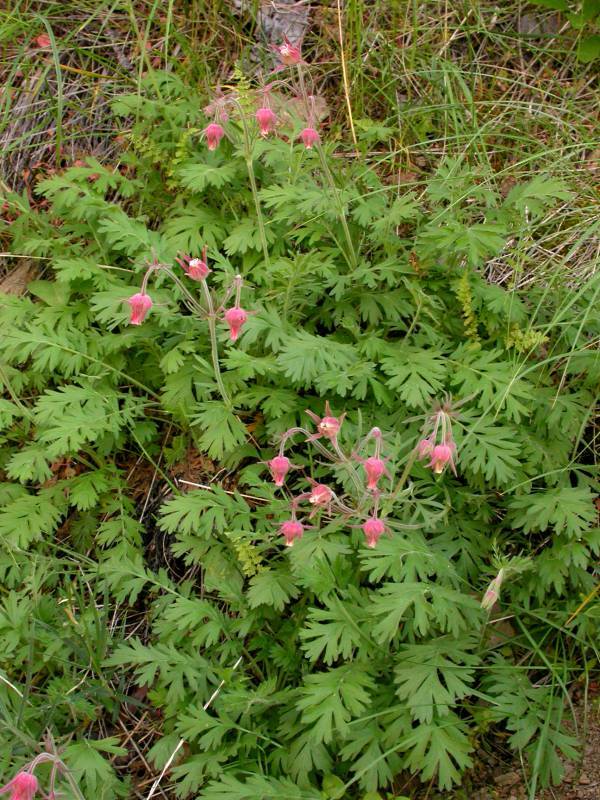 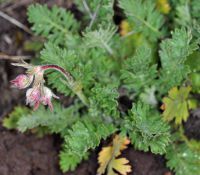 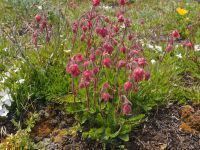 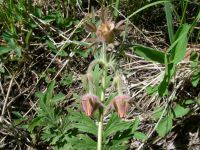 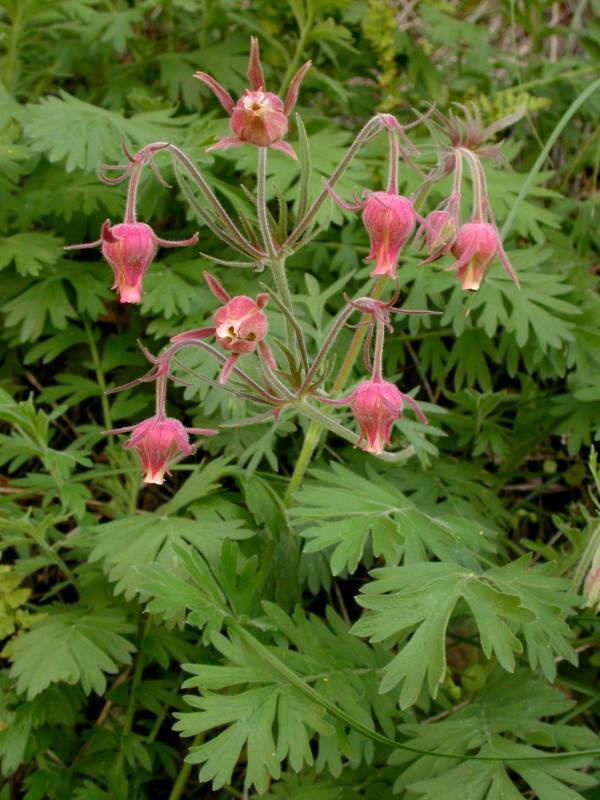 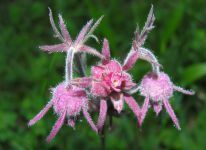 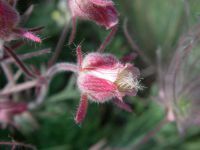 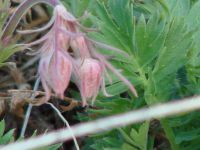 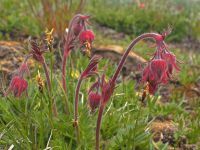 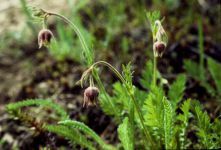 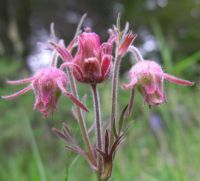 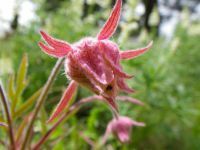 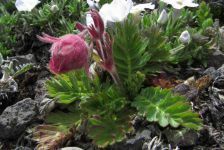 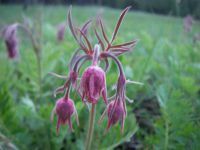 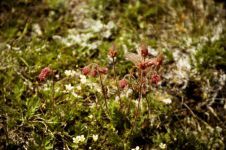 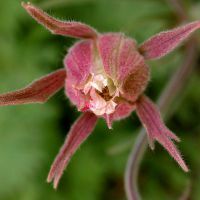 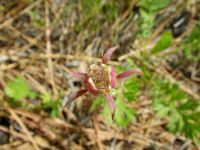 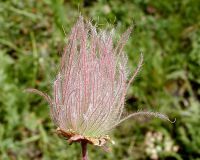 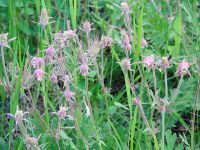 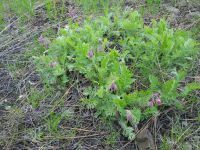 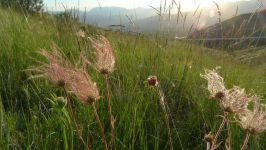 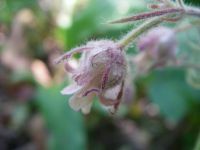 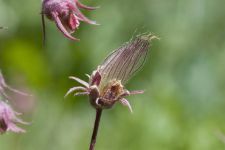 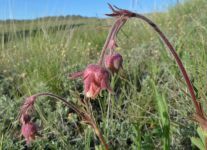 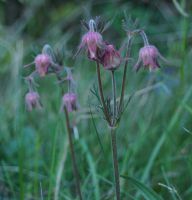 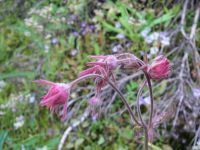 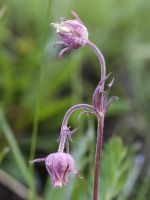 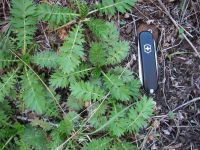 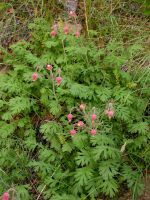 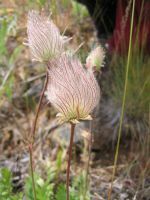 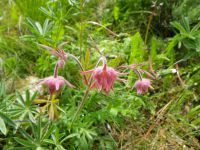 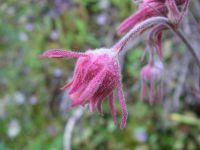 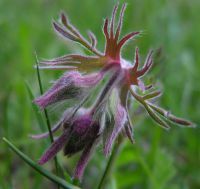 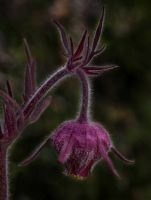 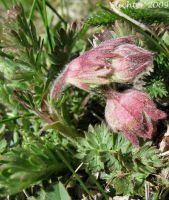 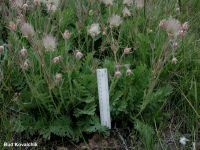 PNW Herbaria: Specimen records of Geum triflorum in the Consortium of Pacific Northwest Herbaria database. 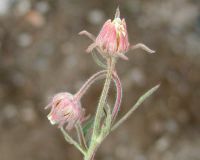 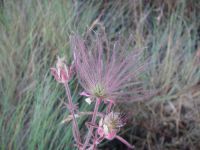 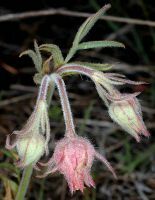 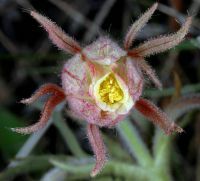 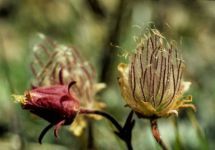 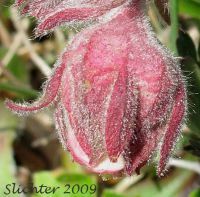 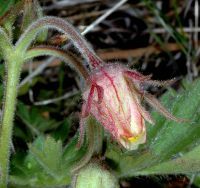 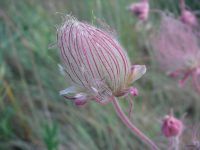 WA Flora Checklist: Geum triflorum checklist entry. 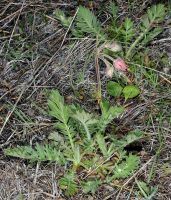 E-Flora BC: Geum triflorum atlas page. 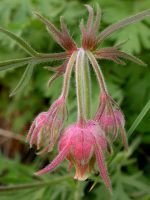 USDA Plants: Geum triflorum information.